Mehendi Circus, starring Madhampatty Rangaraj and Shweta Tripathi, is an upcoming action romantic drama film, written by Raju Murugan and directed by his assistant Raju Saravanan. The film is produced by K.E. Gnanavel Raja under the Studio Green banner. Set in the Kodaikanal backdrop, Mehendi Circus features real-life circus performers in pivotal roles. The story revolves around the relationship between a guy living in Kodaikanal and a circus performer. Taking off as a romance, the movie will delve into a painful area involving relationships. 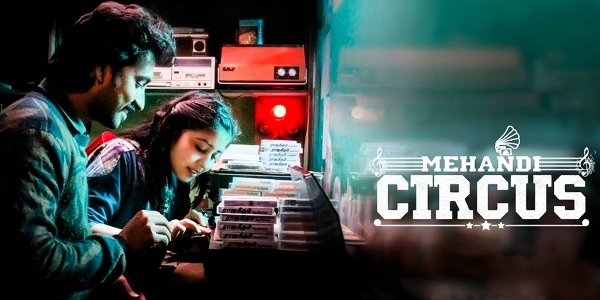 With Seal Roldan composing the music, Mehendi Circus also stars RJ Vignesh, Vela Ramamoorthy, Ankur Vikal, and Sunny Charles in significant roles. The movie is releasing worldwide on April 19.